RV Education is an important part of your journey to experience a happy and safe RV Lifestyle. 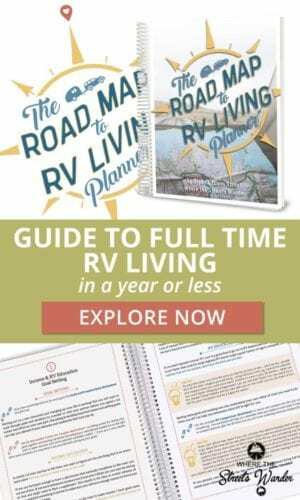 Avoid pitfalls by getting an RV education. Learn about RV Fire Safety and keeping yourself from hazards on the road. No matter where you are in your RV journey, you can always use to learn and educate yourself more. Taking time to do this will help you enjoy your new lifestyle whether you RV full-time or part-time. We have definitely benefited from our own RV education endeavors and feel they are worth taking the time to do. When embarking on new things, we are researchers. A lifestyle change is a big decision. We don't like to make preventable mistakes. Enough mistakes happen without making our own on purpose 🙂 We have done several RV education type rallies as well as attended RV conventions. We have found both types to be helpful and beneficial. It’s also important to know what you hope to gain when taking time to attend these functions. RV Conventions/Shows are fun! They also can be overwhelming. The following tips can help. Do not buy at the convention! The people helping you in conventions are salespeople. They have one goal: sell you an RV. They may tell you that the price is a “show only” price. Don’t fall for it! If they will sell it for that price now…they will sell it to you at the dealership for the same price later. Another thing to gain from waiting is being able to check out the service department of the dealership and find out just how much they will service you after the sale. Take breaks! Depending on the size of the convention, you are going to max your Fitbit out! Being tired makes for bad decisions. Take breaks, eat, rest, repeat. If this is a multiday event….take advantage of it and come back for short periods on each day. Once you own your RV, conventions/show can be a source of ideas. The vendors at these shows often offer free camping passes and nifty RV specific things to help you enjoy your RV more. There are constant innovations for this industry and attending these shows can help keep you in the know. Some of these events offer RV education classes. Often times these classes are offered by vendors selling their wares. If you are in the market for what they are offering, these classes can help you make a better purchasing decision. However, keep in mind…most of the time..the content is not unbiased. 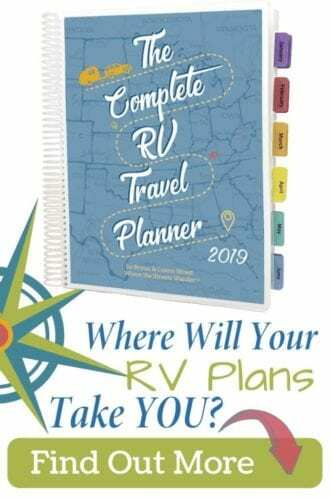 Keeping that in mind, we prefer RV education specific events that focus on RVing as a lifestyle, not as a point of sale. There are a few SUPER Shows throughout the nation. Florida, Arizona, and Pennsylvania are the states that often have those type of shows. Educational Rallies are an incredible value. They differ from convention/shows in that they give you valuable information, education, peace of mind and opportunities you currently aren’t aware of. We have attended two of the following rallies that are reviewed below. 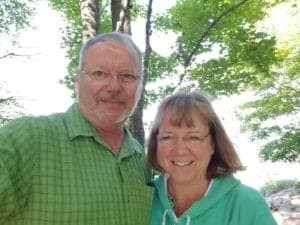 Howard and Linda Payne at RV-Dreams are full-time RVers. They have been RVing for 14 years. They have an educational rally every year, sometimes twice a year. They have RV educational seminars done by Howard on a variety of topics for people new to RVing as well as a focus on full-time RV living. The sessions are super educational, practical and informative. We highly recommend this rally. We gained so much knowledge from them, it was worth taking our time to do this. They advertise their rally as ‘educational with social activities and fun mixed in’. We attended this in Sevierville, TN in Spring of 2017. We had a great time, made new friends and gained knowledge and confidence in our decision to live full-time in our RV. Even if you are not going to full-time, this rally can equip you for choosing and using your RV for your occasional enjoyment. Workamper News sponsors an RV education rally every fall in Heber Springs, AR called Workamper Rendezvous. This rally or seminar is for people wanting to learn how to fund their RV lifestyle. A major focus is on getting temporary jobs in/for a campground in exchange for a full-hookup site and compensation for additional hours worked if desired. This approach to income supplementation on the road is a great way to maintain an RV lifestyle. They have all the tools you need to become successful in this approach to work camping. However, the true definition of a workcamper is ‘one who lives in an RV and works for an income'. This can be anyone who works remotely in their RV. Traveling nurses, computer programmers, accountants, construction workers, etc. This rally has shifted their approach to not only supporting and educating people who want to work in campgrounds but to helping people start their own businesses and work remotely while living an RV lifestyle. We have attended this event twice and both times got some great ideas to keep earning and traveling. At the most recent event, we found some interesting employers that can give you the RV lifestyle you have dreamed of. Southern Cross – employs full-time RVers to work full-time with benefits in temporary areas of the country with their utility (gas) inspection service. Lieutenant Blender – Represent this company in Costco and Sam’s stores across the country. Picking your own destination and how often to do an event. Christmas Tree Farms – Many farms hire full-time RVers to run their stands in various parts of the nation for the season. Amazon Camperforce – Contract for a temporary assignment to pack and ship goods from their warehouses during the holiday season. These are just a few of the ideas for work that aren’t necessarily working in a campground. There are many other ideas also. The more education we received, the more our minds opened to the possibilities of creating a sustainable income on the road. Listen to Heath & Alyssa's RV Entrepreneur Podcast for more ideas and to hear people who are doing it and find out how they did it! RVSEF stands for the RV Safety & Education Foundation. They host a Technical Education & Safety Conference every fall in Elizabethtown, Kentucky. The focus of this event is to educate you on RV safety all the way from driving, tire, weight training to fire protection. There is a whole lot of fun in RVing but there is always room for safety to make sure your fun doesn’t turn into a disaster. We have not gone to this conference yet, but it is on our list to attend next year. We have in the meantime gone to their website and bought some of their safety videos to equip us for safety in our RV and while we travel. Driving training can make you more confident in your travels. Tire and weight safety can prevent a fatal disaster on the road. Safety and Fire Checklists can give peace of mind. Sounds like a great investment of time and money to us! FMCA – Family Motorcoach Association has an RV education event if you are a member. Escapees – This membership has an RVer’s BootCamp that looks really informative. If you join either of the above organizations please let them know Bryan and Luann Street referred you 😊 If you attend either of the above events, please let us know how they are. RVing is a fun and rewarding lifestyle. It can be even more fun with proper preparation and education. We are all for circumventing preventable pitfalls with knowledge. We recommend you do too! If you have done an RV education event that is newsworthy, drop us line, we would love to hear about it! FMCA accepts all RV’s now, not just Motorhomes. You are right! They accept all RV’s into their membership! I wrote this post just before they made the change! I will fix that! Thanks!